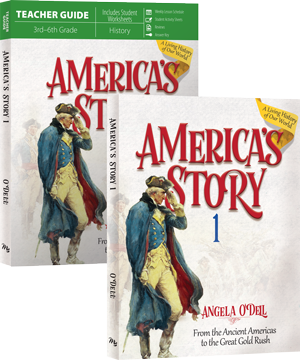 America's Story 1 begins at the infancy of the American nation and travels through the founding of our great nation, catching glimpses of the men who would become known as the Founding Fathers. 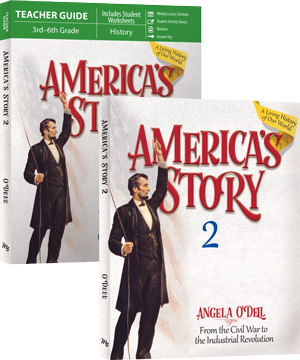 America's Story 2 continues the journey through American History from the Civil War to the early 1900s, leading students through the conflict, resolution, controversies, and successes of a fledgling nation becoming One Nation Under God. 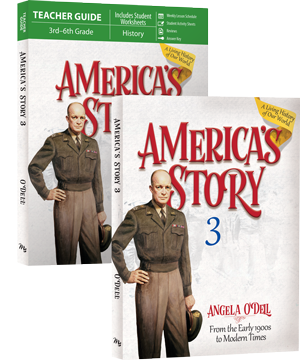 America's Story 3 concludes the series by exploring American History from the early 1900s to the Modern Times, giving students glimpses of the excitement, heartaches, wonders, and challenges America has experienced as a nation in recent decades.